1. In a large wok pan or skillet, heat 2 tsp oil over medium-high heat. 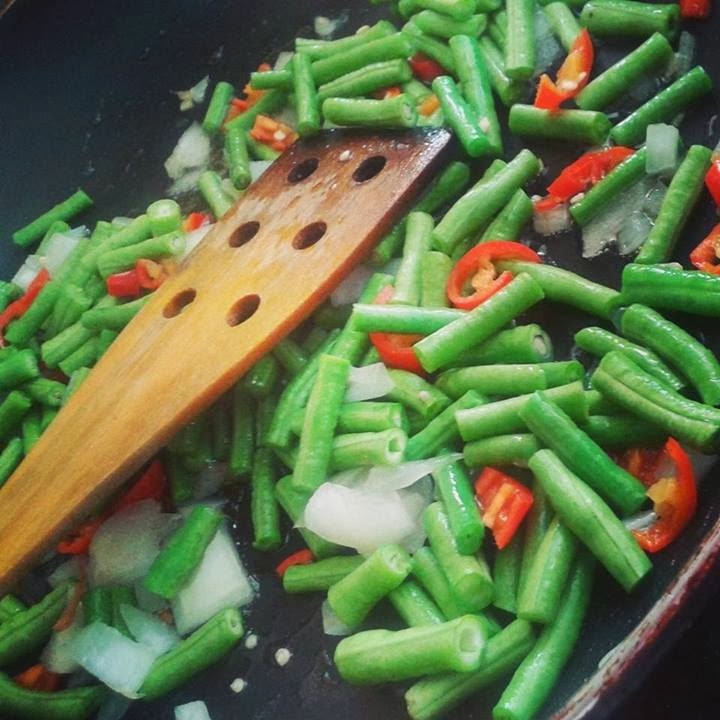 Add prepared green beans and sauté until charred and golden brown, 5-6 minutes tossing occasionally. Cover with a lid or foil to let steam and soften a few minutes, or to desired tenderness.